We now have nearly 2,400 sound effects available for sale on SoundDogs.com and are exploring another online effects marketplace interested in carrying our Alaska sounds. 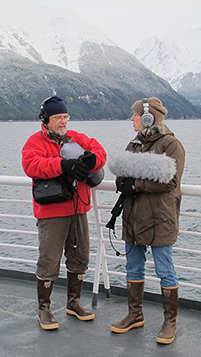 Lucy and Mike will be traveling aboard the MV Tustumena in late August, to Dutch Harbor/Unalaska and back, collecting oral-history recordings from retired and current Alaska Marine Highway employees and residents of Southwest Alaska who have stories to share along the way in each port and on board. We are excited to finally make this journey for ourselves. You can learn about the proposed project at the MV Tustumena Oral History Project website. 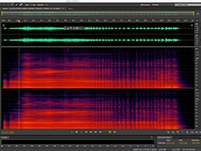 Both Ears Live Sound records, collects, and produces custom sound effects for sale through SoundDogs.com. For specific effects customized for you, contact us! Format? If it exists, you name it. These audio clips are 16/256 MP3s for the purpose of perusal; recordings are usually 24/96 WAV files, so higher quality SFX are available for purchase. 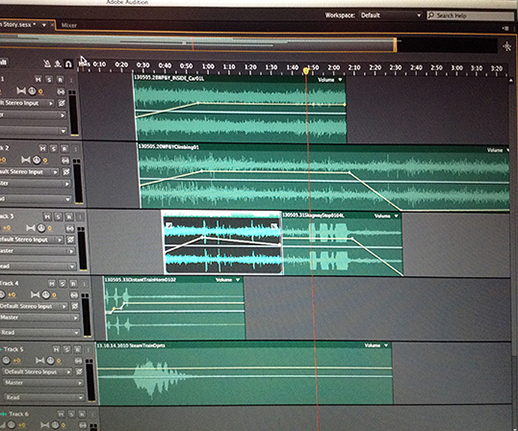 In sound effects, it is not what the effect is that is important, but what it sounds like. The world is full of fascinating sounds, from the human noises of cities to the quiet sounds of the natural world. 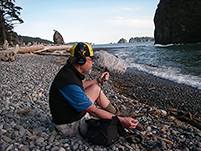 Just as photographers attempt to show you what youve overlooked about the world around you, a recordist will capture sounds often unnoticed and unheard.